Our proud team of master AC Servicemen will service your aircon so that it is running optimally for your house or premises. All the servicemen and women that work at HVAC Dallas Fort Worth Texas care and take immense pride in our work for you. 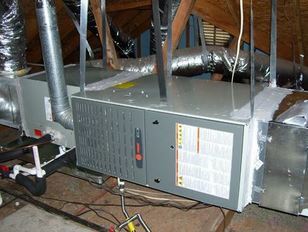 We produce high quality AC services and in fact anything we do. We are locally based in Fort Worth Tarrrant County , so as to make quick emergency call outs and quick service calls to service your air conditioner. Annual servicing of your AC will improve the air quality as all the filters will be properly cleaned and disinfected, and just like any motor the lubrication and the coolants need to be checked and topped up if required. An inspection for any leaks due to possible accidental damage since installation needs to be inspected and to check there are no faults or leaks. Our technicians follow a detailed AC service checklist , which covers every part of your air conditioning unit or system. Once every part is thoroughly inspected and lubricated if necessary , they will ensure each part of the system is operating optimally to provide you with cool crisp air all the time. Call our offices at HVAC Dallas Fort Worth to set up a convenient appointment to service your AC. We pride our selves on keeping our promises to you when it comes to servicing your AC , by arriving at your premises or house at the agreed time for your appointment. It is advisable to service your AC at least annually, the best time of year is actually at beginning of summer , just after spring , so that your filters can be cleaned on the huge array of pollens that attack your allergies every year. These AC services help your system running more efficiently , which save you money, improves the air quality , therefore save yourself on doctors bills even. If you can't remember when last your AC was serviced it means it was too long ago, just call us now to set up that vital service for your aircon.